I’m always charmed by the peony tree in my backyard. When I first planted it, it stayed basically bloomless and green for 5 years…an oddity, with it’s twiggy branches and mini-trunk. 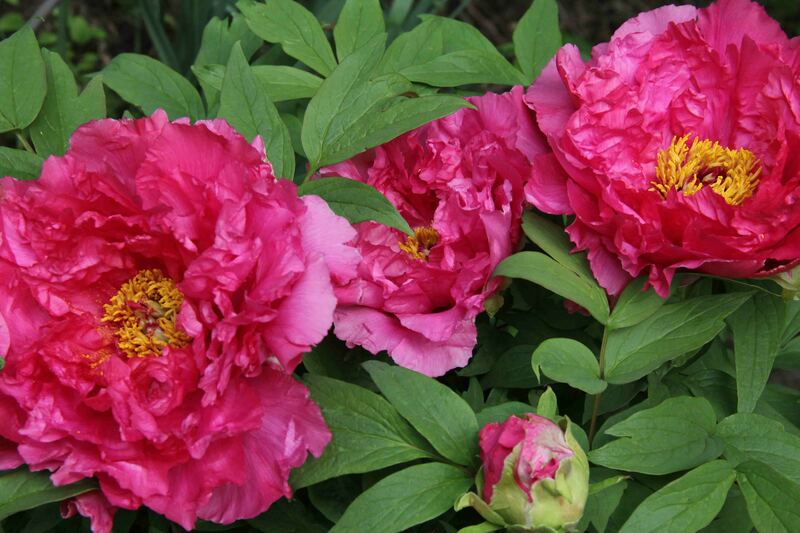 Very different from your normal peony bush. Then one year, and I’m not sure why, it developed a bloom. A big, beautiful 7 in. diameter bloom. But just one. The next year, the plant had 7 giant blooms. I’m not sure what gave it the courage to erupt. More sunshine as I cut away some of the brush? Another nearby plant which helped it to polinate? An adjustment to the soil? No idea. I don’t know enough about plant dynamics to understand all the factors involved. But I can enjoy it while it’s here. And every year, it is just stunning. 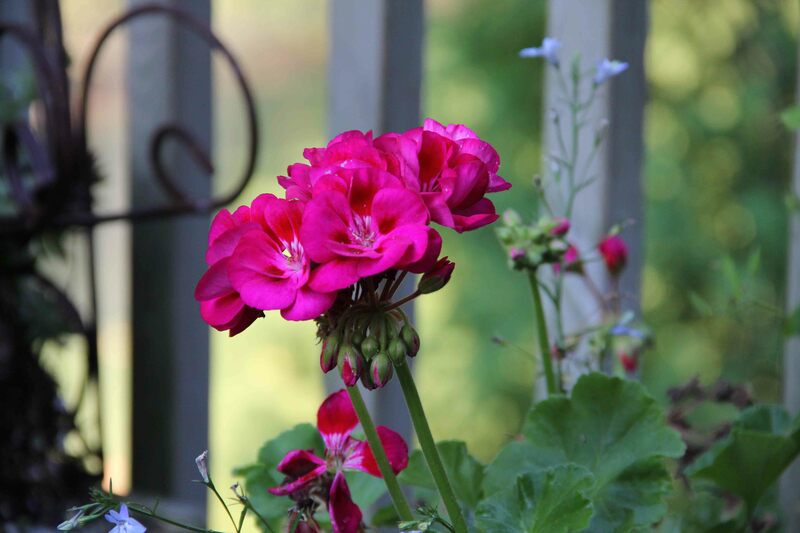 This year, it bloomed on Mother’s Day. Have a happy one. 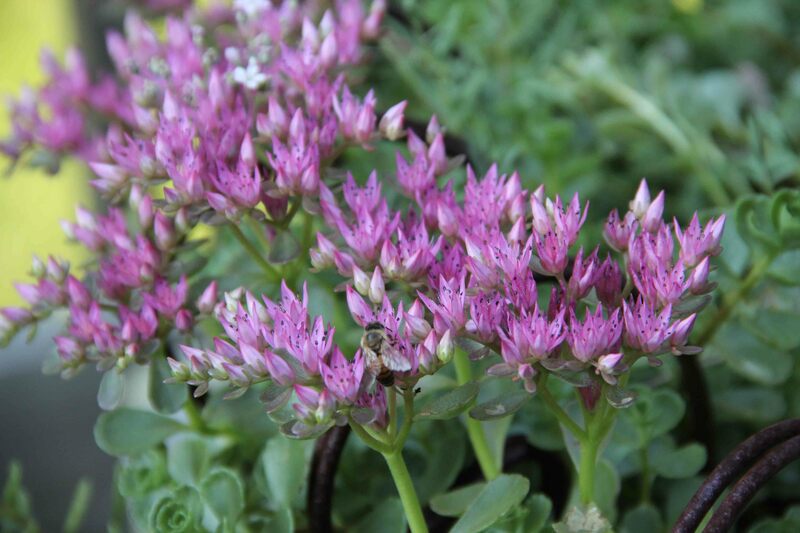 They’re stunningly gorgeous, reliable, and resist pests. They require very little maintenance and they promote peace. They don’t feed the hungry, but most world leaders don’t either. 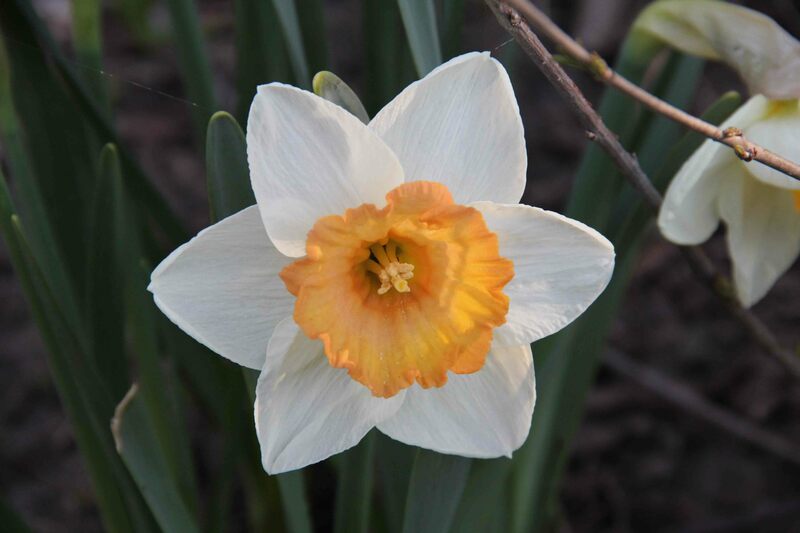 Yes, daffodils should rule the world. 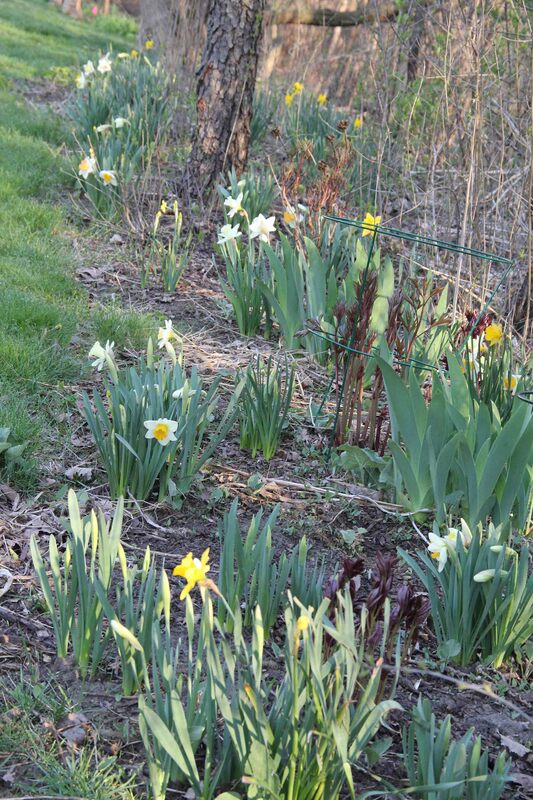 Until the peonies and irises come along, and then the duties will be shared. 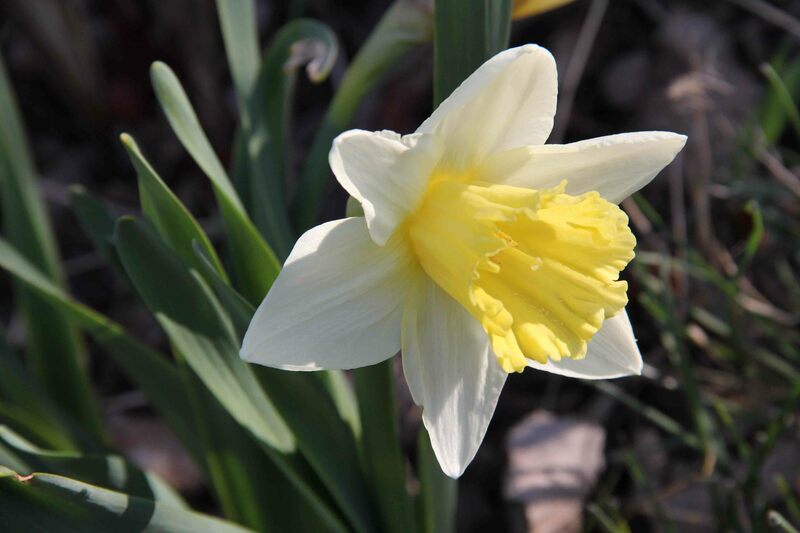 But for now, we live in a daffodil world. I started a couple of years ago with a cheap bag of bulbs from Costco. 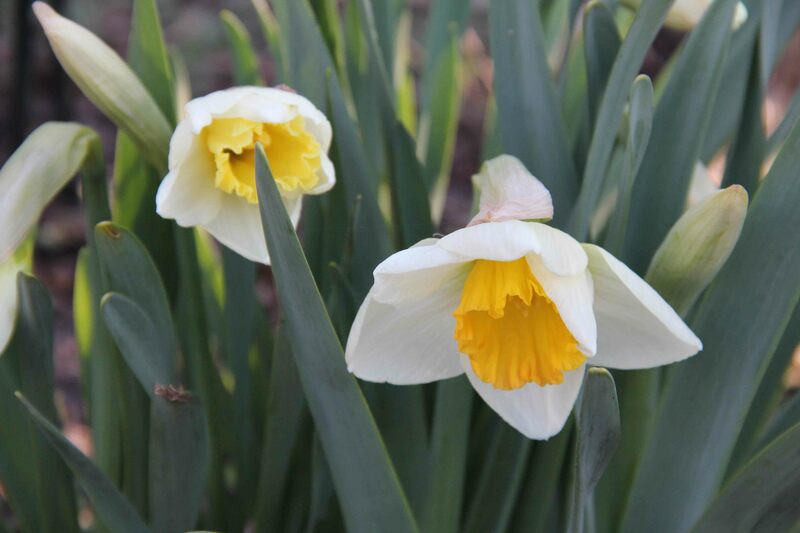 It produced lovely little yellow daffodils. So the next year, I turned to a catalog and purchased a few more varieties. 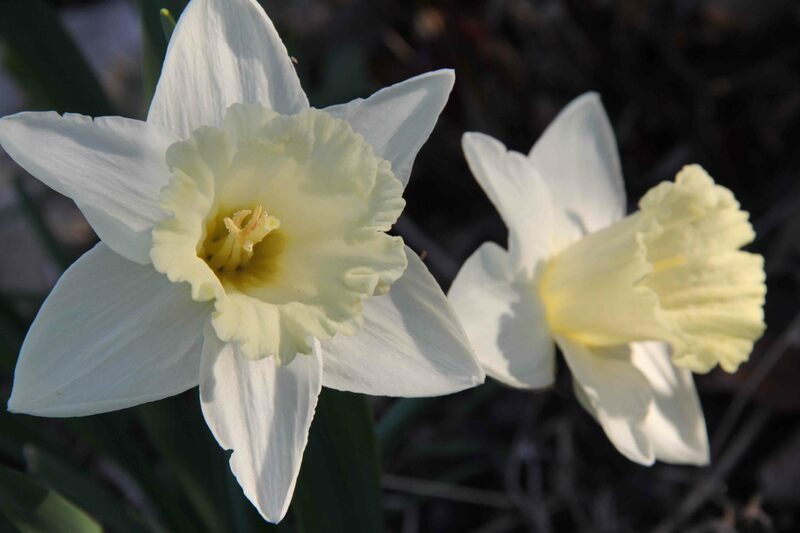 Now I am hooked, and these quiet, yet lovely little early risers of spring are enough to give me signs of hope every year. 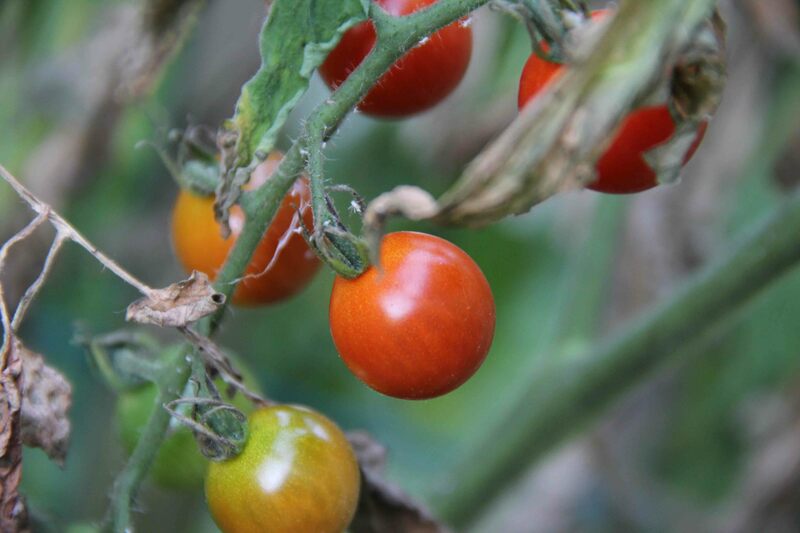 They cautiously poke from the ground when the frost is still in the air, when flurries are still flying, having full trust that the 70 degree weather will appear. And it does. 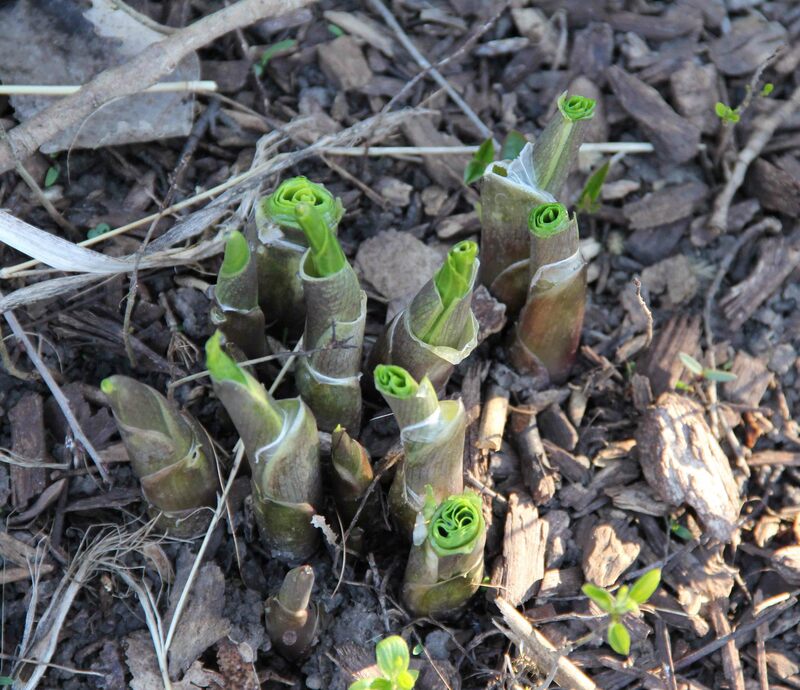 But look out daffodils, the hostas are not far behind, and I hear they are willing to redefine world order. 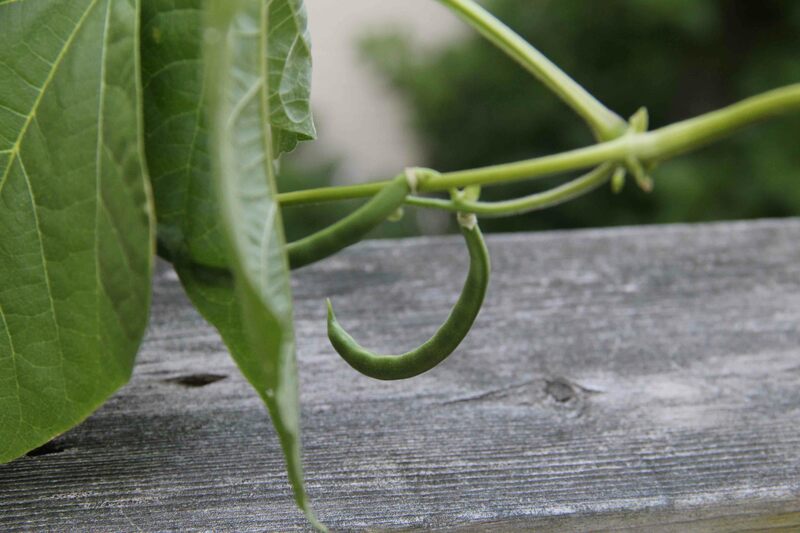 They are fresh and green and itching to unfurl. Uh oh. Peace out. 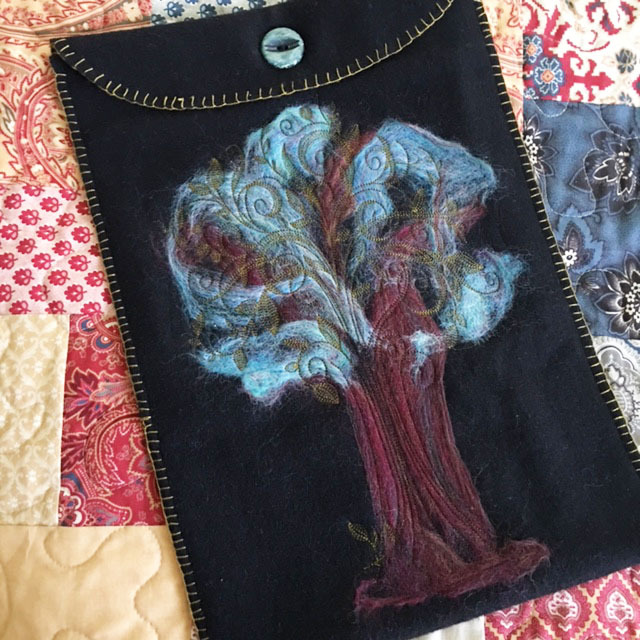 I’ve been playing with wool lately, and was reminded by the upcoming Bernina Inspirations class, that I can do needle punch using my machine embroidery. 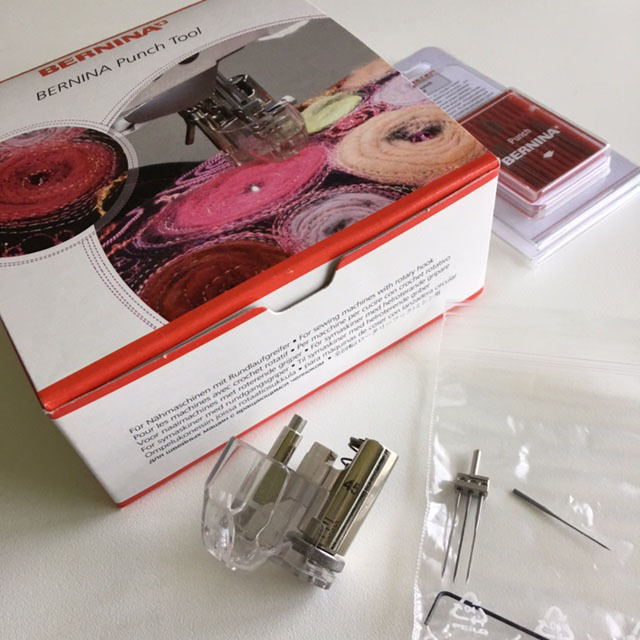 For anyone who is a Bernina software user, Designer Plus allows you to do needle punch. All you need is the needle punch accessory (which you can use with or without embroidery). Inset the needle punch needles in your needle holder in place of your regular needle. Change your stitch plate (there’s a special one for needle punch) and be sure to tell your machine that you made the change. Put on the correct needle punch foot. This not only helps to glide over roving and other wool or fabrics, but it also keep your fingers away from those needles. You’ll often want to hold the roving in place to keep your design intact. Completely remove your hook system, not just the bobbin. Take everything out, and close the bobbin door. Turn off your top and bottom thread sensors. In the software, you literally just go to the Digitize toolbox, click on the PunchWork icon and digitize a shape. Any shape. 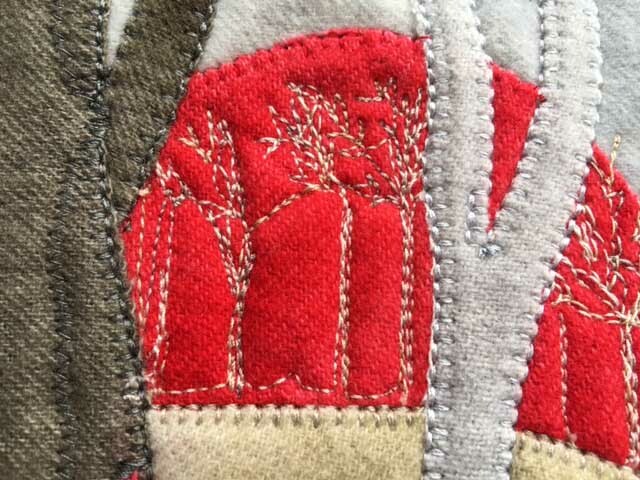 And the software will generate one thread color to outline the shape, and then fill it with needle punch. It’s amazingly easy. I digitized the shape of this tree, measured it out and laid out the roving within the parameters of the shape. And then I watched the machine do all the needle punch work. Pretty impressive. However, I did follow along with my fingers positioning and re-positioning the roving to be sure it stayed where I wanted it to be while the needle was punching. 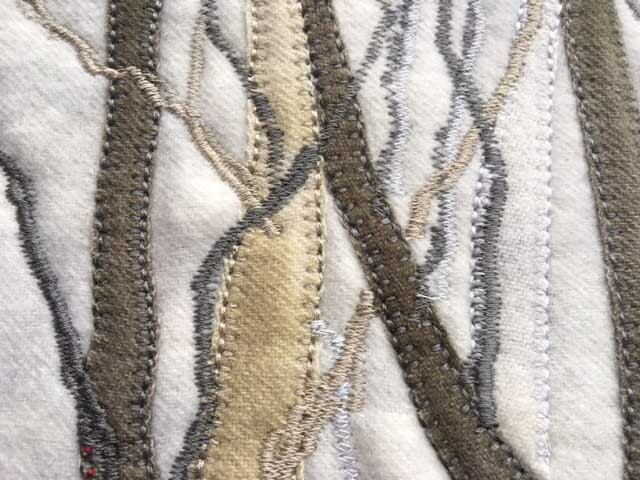 Next, I layered an embroidery design on top. 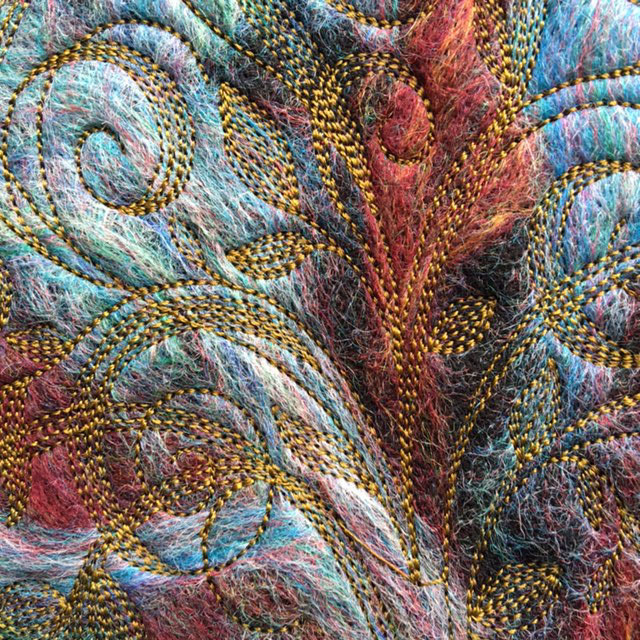 Since I had gone with a tree shape, I was reminded of the tree of life embroidery design in the Sepia Petals collection from OESD. I ended up using the tree background file. The result was interesting both visually and texturally. Still exploring my love of wool. It’s freeing and almost unpredictable as an art form or craft. I think that’s why I enjoy it so much. 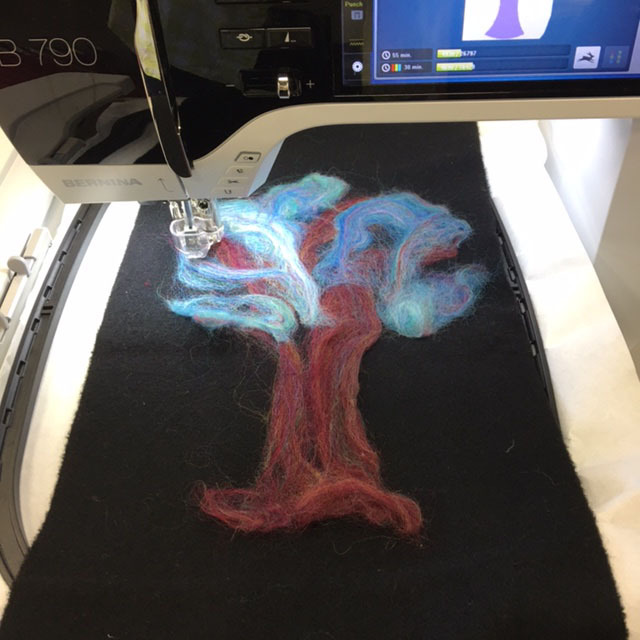 If you are interested in learning more about Bernina Embroidery Software or needle punch, think about attending your May Software Inspirations at your local Bernina dealer. You just never know what you’ll be inspired to create! 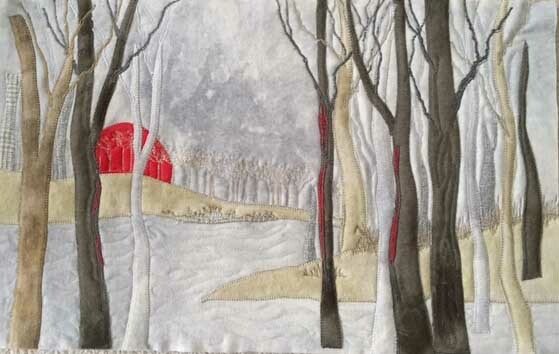 I didn’t realize it until I tried to describe some of my projects to someone, and all the ones that reflected my own art and not just a pattern designed by someone else, usually included trees. And if not trees, then at least something that grows in the ground. I can’t tell you what it means, except that I have a deep longing to connect to the earth. I recently pre-ordered a book that has apparently been wildly popular in Europe: “The Hidden Life of Trees — What They Feel, How They Communicate — Discoveries from a Secret World, ” by Peter Wohlleben. An article from the NYTimes profiles the German forest ranger’s book. I’ve always known that the natural world — birds, animals, trees, gardens — have more to teach us than we ever give them credit for. In the woods, I learned to listen, and look…much more than I ever do in my daily busy-ness. Art is a struggle. We are reaching, reaching, always striving to capture the thing beyond ourselves. I do believe that trees (as well as the rest of nature) try to teach us something. When I break through the barrrier and discover the lesson, I will let you know. Until then, like most of us, I continue to be a student. Multi-hoop project is quilted, bound and finished. Rummaging through my closets this week I came across an embroidery project I worked on back in high school…yes high school. I think it was for an art class. It’s actually pretty big, 18 x 24 I would guess, with a large wood frame. Have to love the signature. At any rate, back in the day that I stretched and framed this thing, I obviously had no stabilizer behind it. You can see that after moving, I don’t know, 5 or 6 times since high school, somewhere along the line I managed to poke a small hole through the muslin. The weave on this fabric is amazingly loose. I thought about just adding another tree. 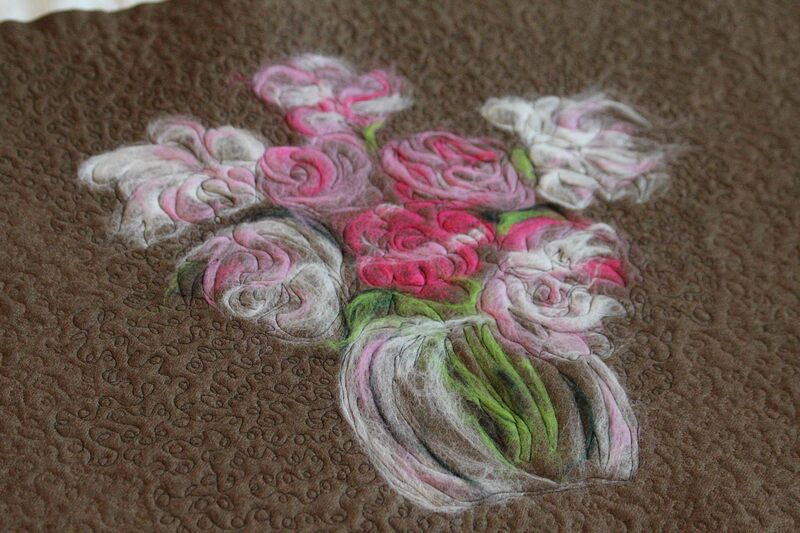 However, now that it’s stretched on a frame, it’s very difficult to embroider–but probably not impossible. I hate to just give up on it, as the details are interesting. I think the best I can do is to finish the edges of the tear with Fray-Check, and then somehow add another tree on top of the hole. It may not be perfect, but, hey, after 40 years (or 50 or 60), how many of us are? Just a few pics from late July. 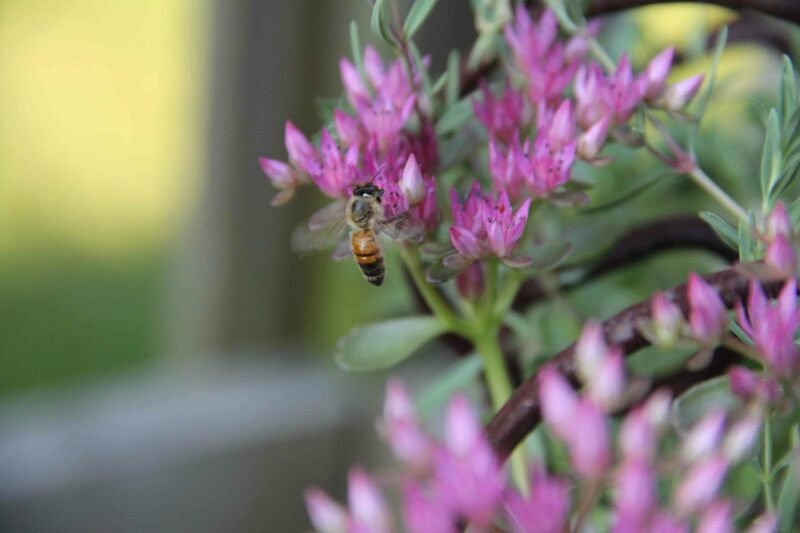 I was surprised the pollinator let me get so close. Enjoy these days of summer. I hear some minky calling my name over by the sewing machine for those cold winter nights. But for now it’s still summer. 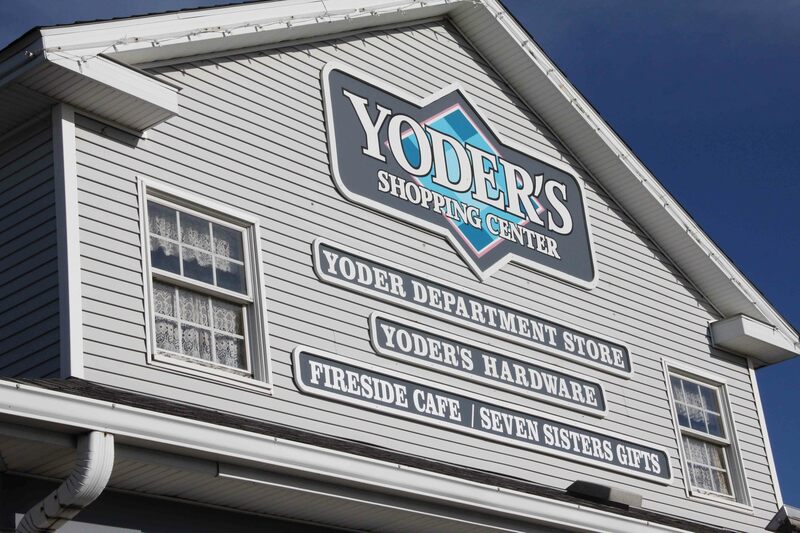 My first stop of the the day was Yoder’s Department Store which opens at 8 am. 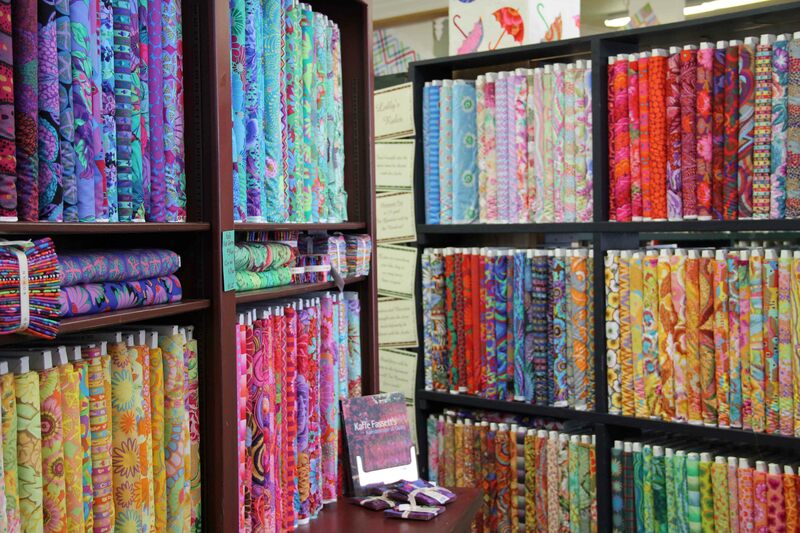 Honestly, they have a TON of fabric, and every book, (including modern quilting books) imaginable. I love this place. I had vowed to myself during this whole trip that I would only purchase items unique to the area. I love Moda fabric, but I can get that at home. So I began hunting for “local” goods. First thing I ran into was this display of reproduction toweling. I could purchase by the yard and got myself a vintage-looking design. They had some very cute tablecloths in carriers that looked like handbags and I’d really like to use the toweling to make a handbag…add a little ricrac and I’m good to go! 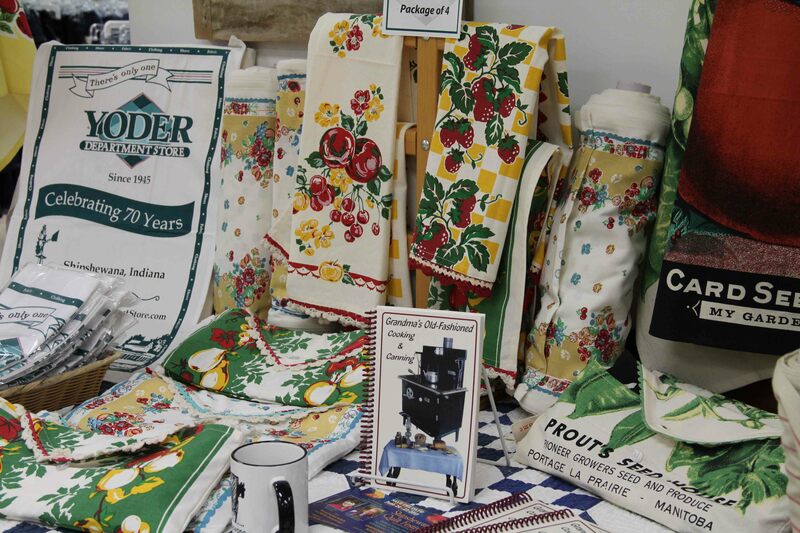 Also in the display was a special edition “Yoder’s 70th Anniversary” hand towel. While waiting in line to check out, another woman told me she was going to use hers to create a quilt around it. What a great idea! Of course, I purchased a little bit of anything that had some local charm. 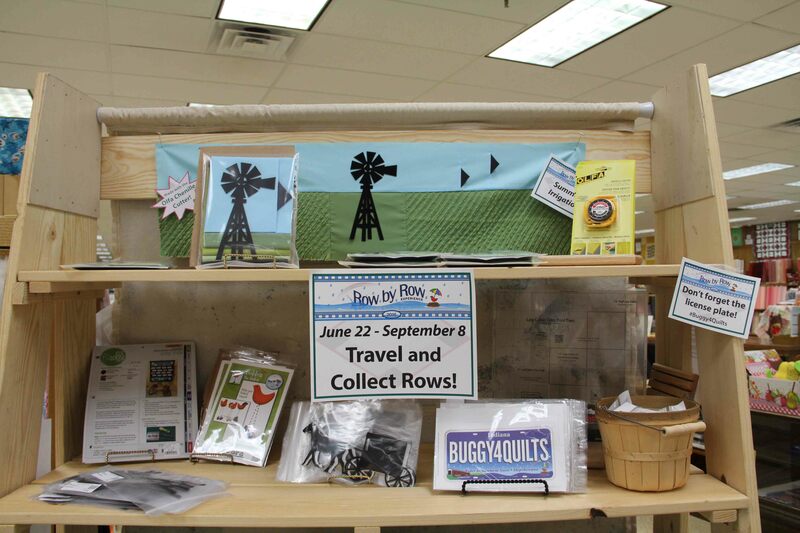 Do you collect Row by Row? Get your Shipshewana version at Yoder’s. 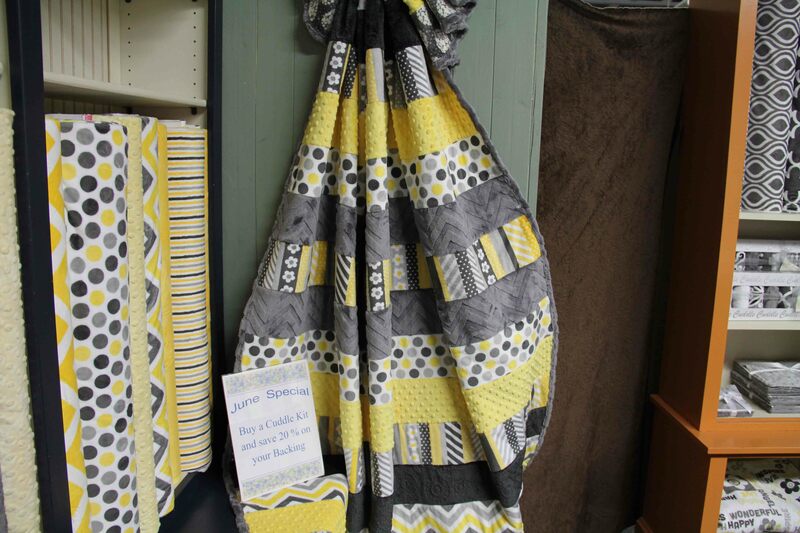 Next stop is the Davis Mercantile where you can find many stores, but I just had to see the famous Lolly’s Quilt Shop. 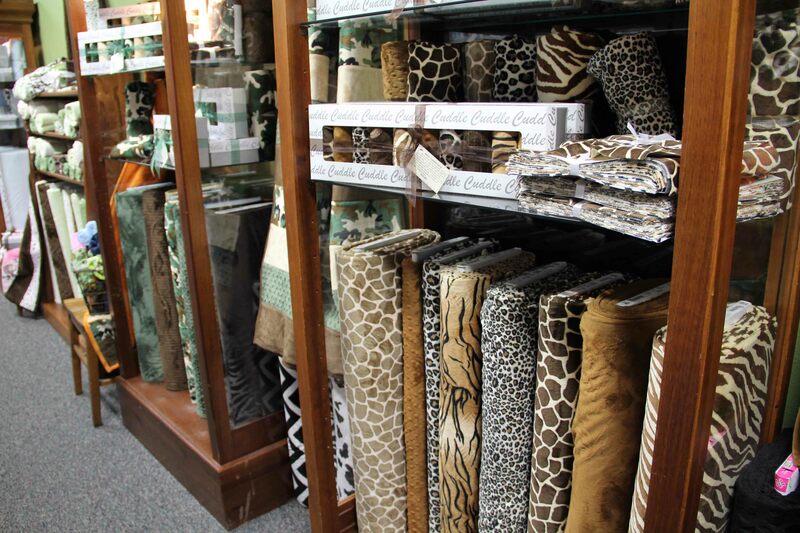 Lolly’s is another wonderful place with everything you could want or need — current fabric lines, reproductions, batiks galore, and plenty of solids, books, patterns. Found a wall of Kaffe Fassett florals, with an opposite wall of all his colorful stripes. Really the largest selection of Kaffe I’ve ever seen. 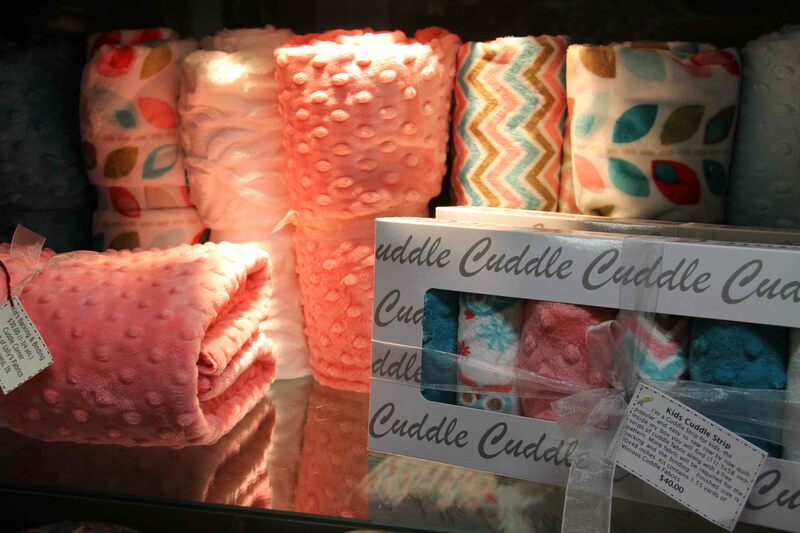 Lolly’s has a “sister” store downstairs at the mercantile, called Cuddle Corner. I was amazed at the wonderful things being done with minky! Fresh textures, colors and patterns…all in minky! If you have a baby in your life, you need to stop here. You won’t believe how soft and cuddly this stuff is. If you’re like me, you’ll want one for your own home for winter snuggling. Special tip from the gal at the counter: a stretch needle works best with minky. We have this discussion at work from time to time…what needle for minky? This gal says stretch is best and I believe her, but I will try for myself as soon as I sew up my quilt. 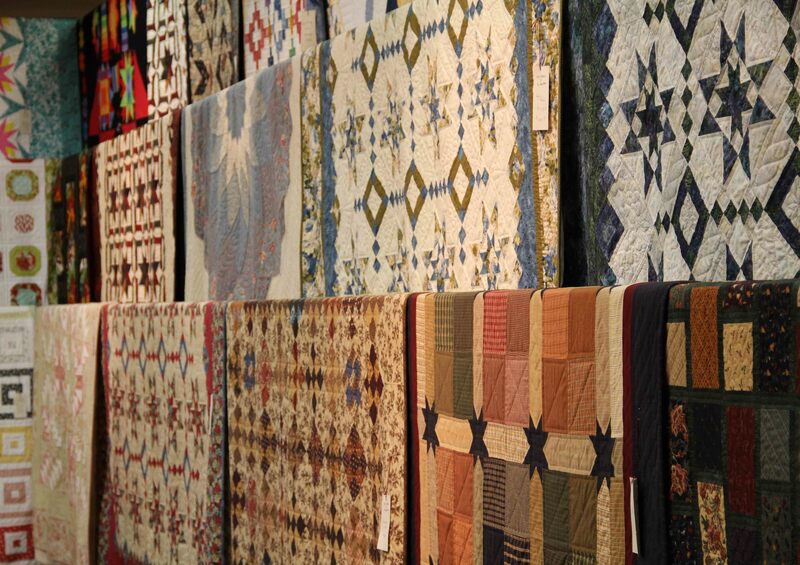 Around every corner in Shipshewana, you’ll find merchants that are selling hand-quilted quilts. Having done a bit of this, I fully understand the time, effort and work that goes into these kinds of handmade masterpieces. 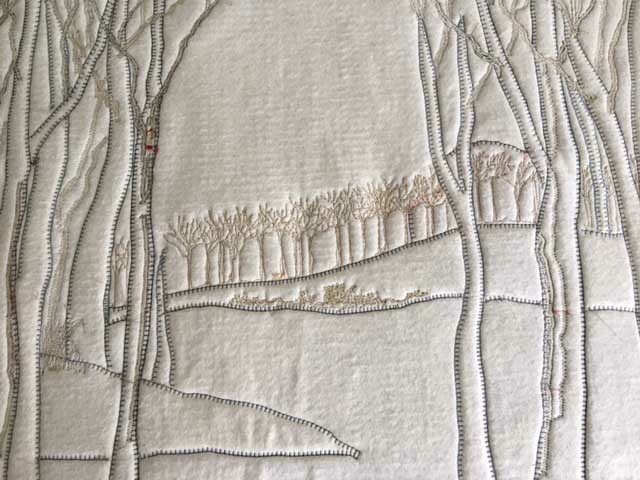 In the next post, I’ll share a few Amish handmade quilts I was shown when an Amish woman showed me the quilts she sells for herself and for other Amish women from her home. 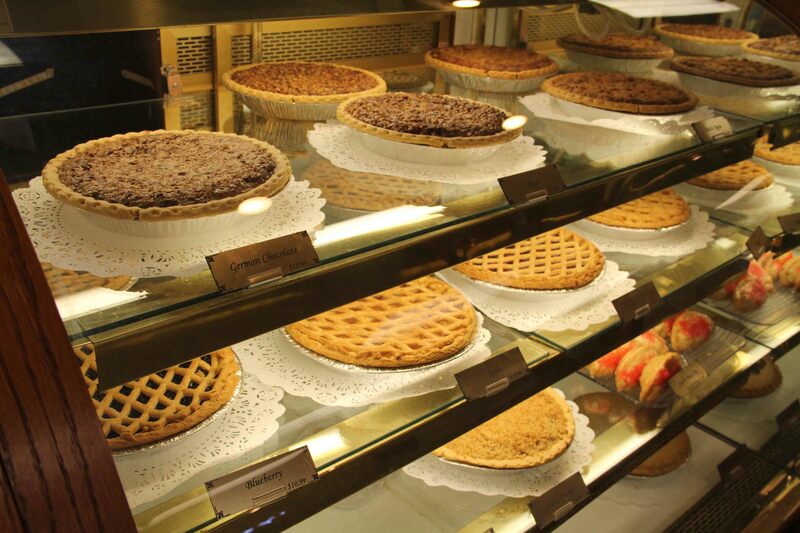 I recently made a road trip to Shipshewana IN…someplace I had wanted to visit for a long time. I was not disappointed. 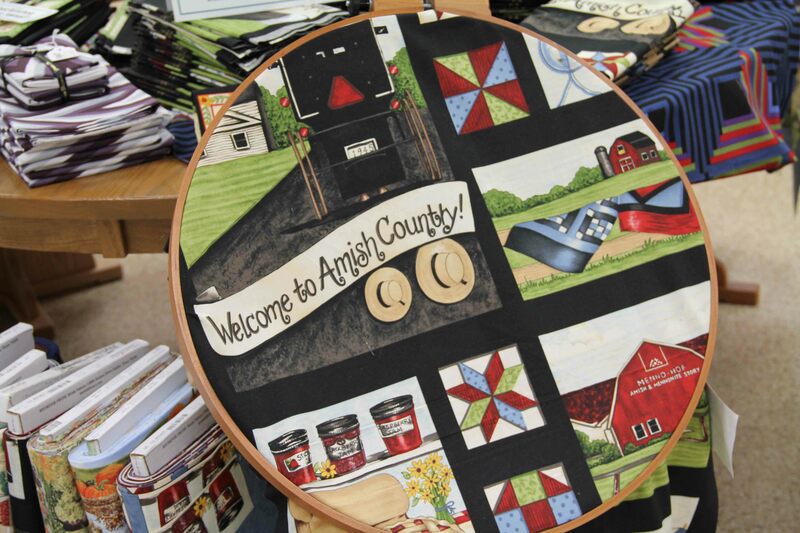 It’s Amish country as you may very well know. I was careful not to take any pictures of them, but they do not mind a pic from a distance or shots of their homes or buggies. ( I asked.) I took several carriage rides and asked many questions. They use cell phones for business and rely on solar panels and wind turbines for electricity although many of them also have propane or natural gas at home. Spending time in this pastoral setting really reinforced to me the hazards of modern living: speeding cars with impatient and intolerant drivers, over-reliance on technology, and the toll the lack of fresh air and exercise takes on our modern bodies. 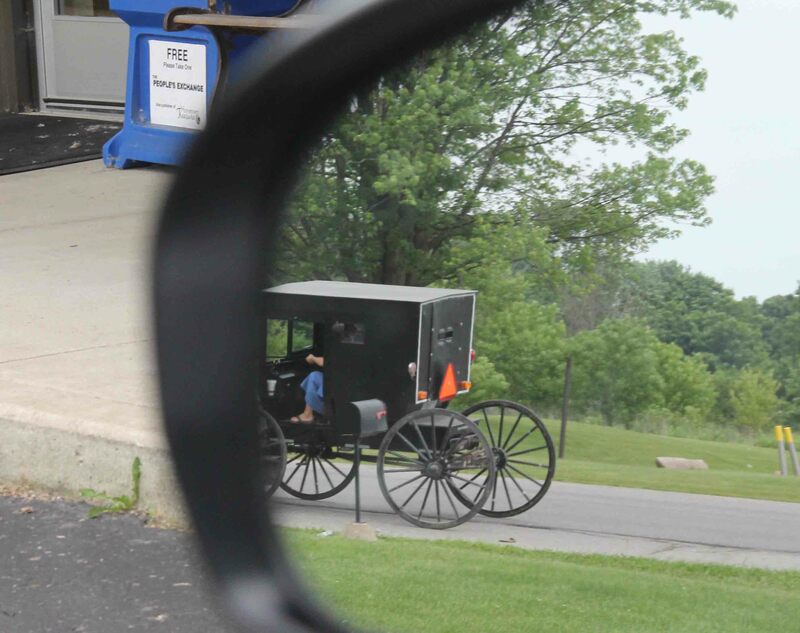 All Amish, at least those in Indiana, ride bikes or take the carriages. Horses look healthy and are a way of life for them. So many Amish live and work in the town, I really expected them to hide from tourists. But frankly, they are friendly, willing to talk about their lifestyle and very open and gracious…but private where any person or family would be private. The way they decide whether or not to tolerate a technology is whether it will reinforce or tear down the community. Cars will always be out, because it is a way for anyone to escape community rather than build it. Same with TV’s and computers and phones. But they live in a real world where they have to make a living so cell phones for business or compressors to help milk the cows are tolerated. I took a tour of an Amish house, sat and ate a home cooked meal with a family, saw them milk cows, toured the farm and was genuinely warmly welcomed. I visited the Menno-Hof, a guided tour museum of the history of the Anabaptists. 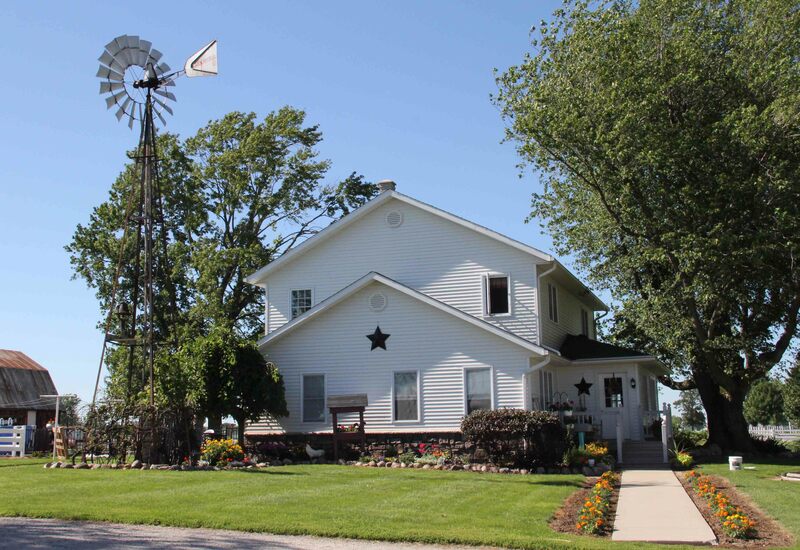 This farmhouse actually looks a lot like my grandparents’ farmhouse in Wisconsin. Look at this garden! 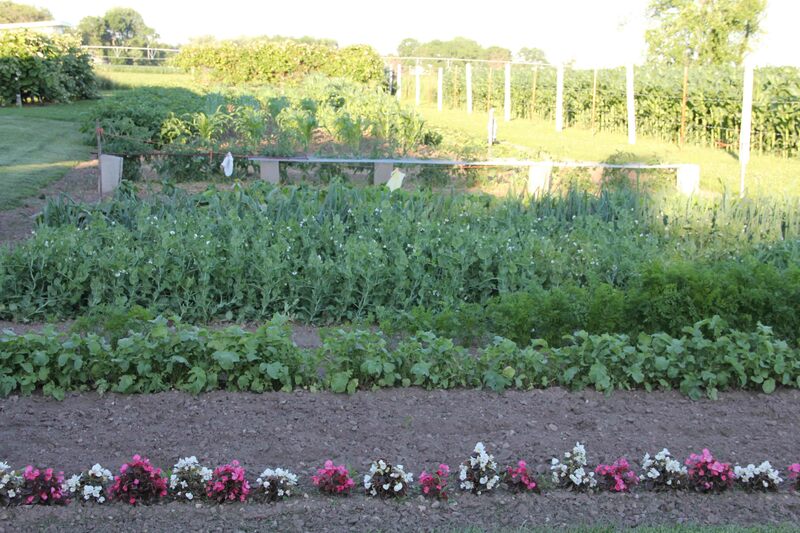 Every farm had a beautifully tended garden like this…not a weed in sight. Ever. 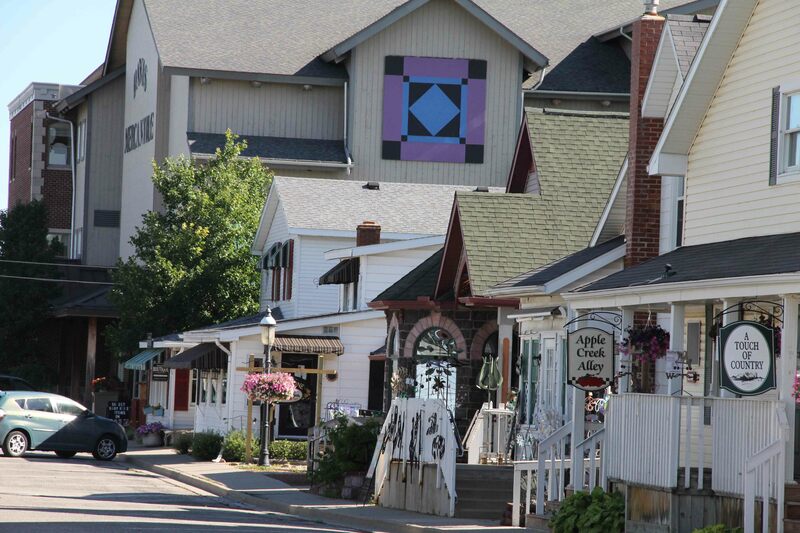 The town of Shipshewana is charming by any standards, with local restaurants and shops. 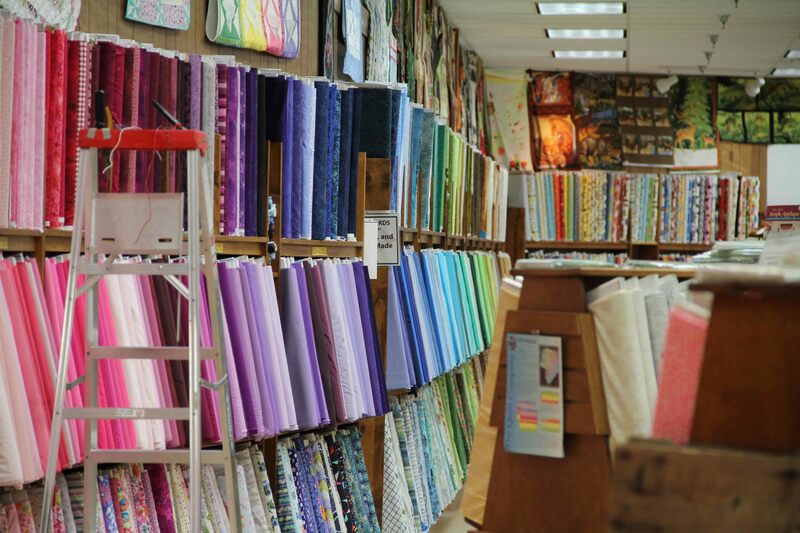 I’ll give a rundown of some of the quilt shops in the next post. 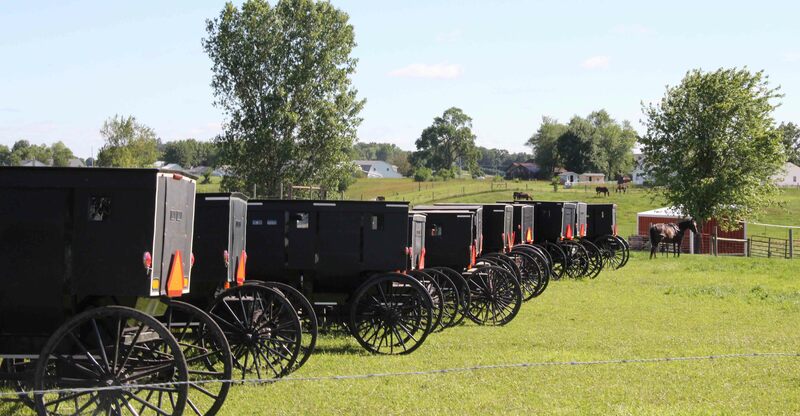 In this photo, the carriages were parked at a house funeral for a well-known elderly gentleman. What a lovely site. And life goes on. I’ve been busy. Too busy to write a blog. And not only too busy, but too boring. And while I don’t mind writing a boring blog, I’m not sure you want to read one. All of that aside, I have also reached the point in the year where all good quilters/gardeners have to make some decisions. Inside or outside. Quilt or garden. Flowers and vegetables or blocks and table runners. And while I may be able to hold it all in my mind simultaneously, I certainly can’t work on it all simultaneously. So although I have some very ambitious sewing plans and classes lined up, as my farmer grandfather used to say (and do), “Make hay while the sun is shining.” Of course, he made hay in August, but you get the idea. 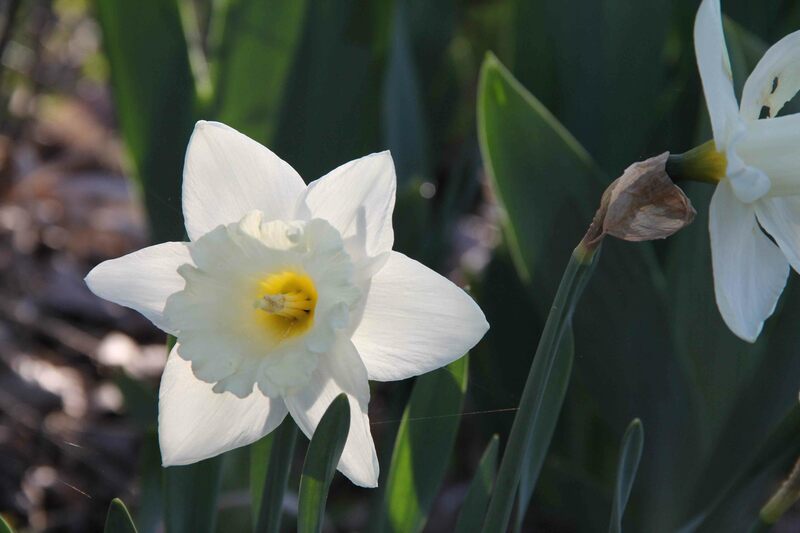 In the hopes of providing a little temporary entertainment, here’s a gallery of recent flowers from the garden. 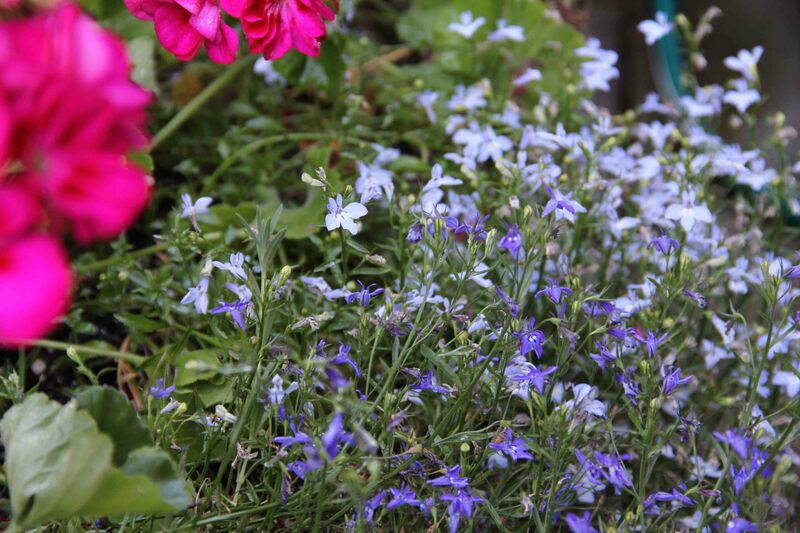 Most are done blooming, so I’ll be back in the sewing room shortly. In the meantime…it’s summer…let’s all go for a walk!